This RP is takes place in the Gundam Build Fighters Timeline, where in a world much like ours they have discovered a new particle, the Plavsky Particle. 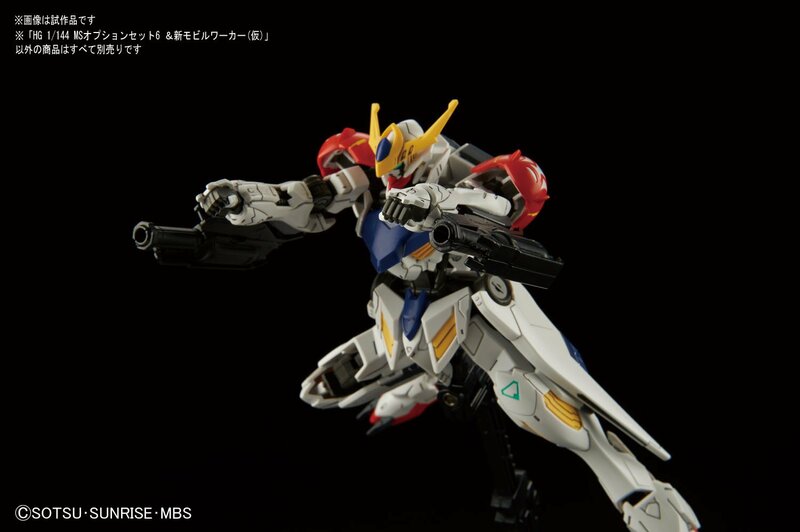 Due to how the plastic in a Gunpla, or a Gundam Plastic Model, reacts to the particle, they have created a near future sport, a simulation battle of the Gundam World and it is called Gunpla Battle! These battles take place on Plavsky Projectors, hexagonal tables that project the plavsky particles and controls the gunpla, allowing for a near 1 to 1 simulation. Data for each gunpla is stored on a GP base, a small cellular-like device that carries the gunpla's information as well as the name of the builder and/or pilot. Along the way you might lose your match or even be disqualified, but don't worry, even if you lose at Nationals, you can still get to the World Cup. You could get a sponsorship from one of the four companies that can host a team to the world cup. These companies are PPSE (Plavsky Particle System Engineering), Yajima Trading, Gunpla Academy, and TSU (Technology and Sciences United). I bet you might want to create a character if this RP has peaked your interest, so here's the character sheet for those who wish to play. You can always add details, but please keep to this base format. I won't pretend I'm the perfect GM or even close to a good one. I do need help along the way, as there might be days where I'm just not as active. It doesn't mean I'm "bored" of the RP, Heck not! I just have life and so do you guys, (well I hope you do, it would be hard to live if you didn't). Teams of 3, NPCs are allowed to fill gaps in teams. Rule Update: This change will state that you'll need at least 3 members for a team and can only have 3 active members, as in active pilots, meaning that you could sub in team members, however you could only have 3 active during tournament matches. Hopefully this makes sense to y'all, but I can further explain it if needed. Rounds consist of Races, Team Battles, Doubles, Duels, Capture the Flag, and other objective based missions. Players may possess up to five characters at Max, if they want to relinquish a character, they may create a new one. No OP Gunpla, look at other player’s character sheets to get a rough idea of the power levels, if that helps. No Auto-hitting, Auto-dodging, and Bunny-hopping. Exception for bunny-hopping being planned time-skips. Feel free to create teams with other players. Players are allowed to control NPCs on their team, this is optional, though recommended. If you are on a team with an another player, please discuss your plans for the NPC with each other, create a character to fill that gap. Appearance: short, with green hair and blue eyes. Bio: an experienced Gunplar, Lacey has built many kits and even more customs. She is quiet, but smart and often times nerdy. Appearance: dark blue, with purple highlights. Mono-eye is bright red. Abilities: Beam Blast, where multiple hatches open and fire powerful beams. Rocket Rider, where all boosters simultaneously fire and launch the MS forwards. Pump Fire, where the firearm is able to be fired quickly without reload. Weapons: double barreled beam magnum, dual beam tomahawks, beam boomerangs, missile pods, and shoulder mounted gatling guns. Appearance: Tall and skinny, with lanky limbs and dark brown hair. His eyes are hazel. Bio: A relatively new Gunplar, Harvey has made one custom so far. He has a sense of humor, but knows when to be serious. Appearance: Multiple shades of light and dark green, with reflective accents. Abilities: Camouflage, where the MS is able to temporarily blend in with surroundings. Impersonate, where the MS is able to take on the appearance of another MS for a short time. Wall-Climb, where the MS is able to climb walls like a lizard/gecko. Weapons: Beam sabers, beam rifle, and a modified GN sword. Appearance: medium height, with a strong body and dark grey eyes. Bio: A veteran gunplar, Rick knows more about the hobby than most people. He can seem arrogant at times. Appearance: black, with yellow highlights and a bright blue crest. Abilities: artillery assault, where the cannons on his back fire heavy ordinance. ranged spread shot, where the Dober shotgun fires a compact shot that has extra range. Wheel of fire, where the MS spins around and flames burst out of various ports. Weapons: shoulder cannons attached to his backpack, modified Dober shotgun, beam staff, and shield. How much of a change would this be? Would the MS change scale to match another MS appearance, even if it was significantly smaller than the Chameleon? 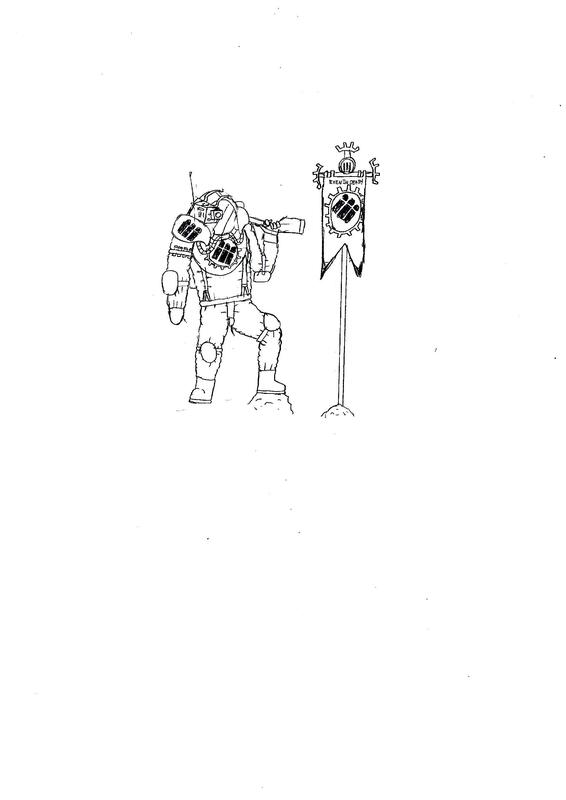 The armor would shift colors to make the image of a smaller MS, but the initial size and shape would stay the same. Basically, it would take on an appearance of that of the MS, but not size and shape. Alright, just wanted to make sure there wasn't any mass-shifting here. Team: Team Heavy, unless another player wishes to join Team Heavy. Appearance: Dark brown hair, almost black hair. George Baker is an eccentric builder and pilot. Weapons: 2 over the shoulder Beam Cannon, connected to the backpack and Beam Axe, with an anti-beam coating shield, otherwise called a "NFHI RGM-M-Sh-AGD Shield" which is a mouthful. The anti beam shield is connected to a sub-arm Gundam Thunderbolt style to the backpack. Bio:Ex military having retired after losing his hand (and nearly his life) Julian saw the mechs that battled and worked and he was bored by the monotony of their designs so he has dedicated his life to the construction of his Locust MCAU. Stealth system: simple radar disruption creates false blips on radar to create confusion and panic, also creates white noise. Beam shield: do I have to explain this? Bio: The long time bodyguard of Mr Iyankovich, fatally wounded after taking a sniper shot for him. 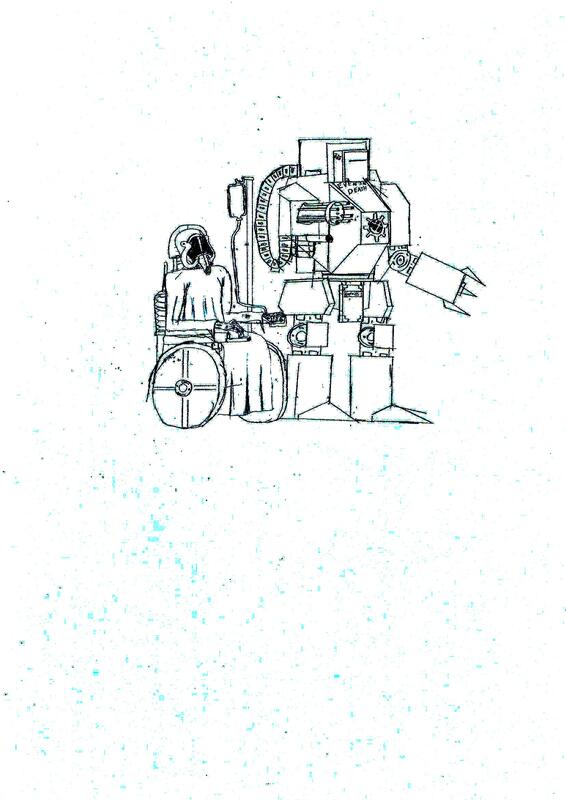 Interred within a sarcophagus and hooked up to a robot programmed to replicate his personality. 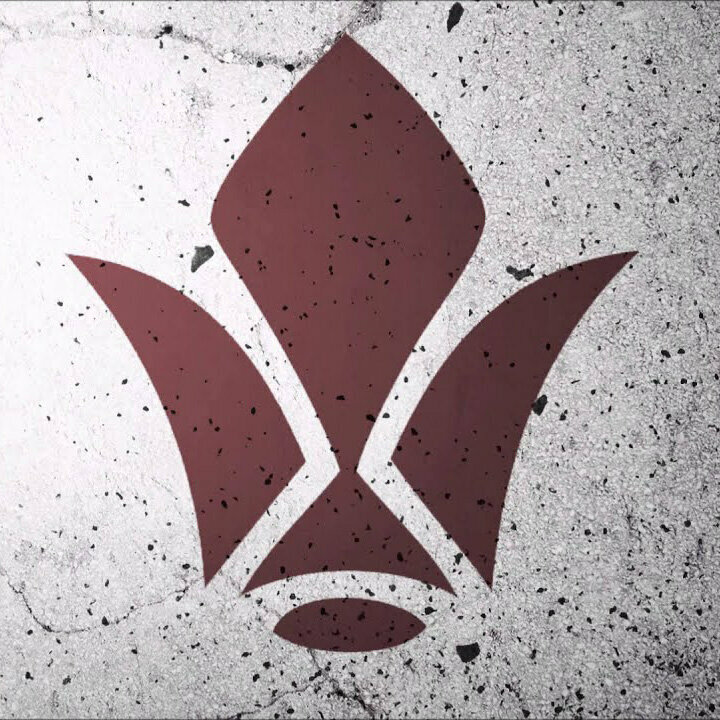 Logo: Which translates to Iron-Blooded. 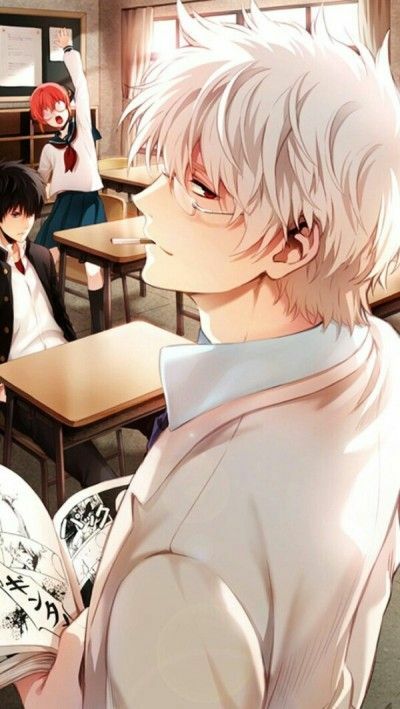 Personality: Kind, friendly, impulsive, respective, vigilante, good at heart, outgoing, sometimes quiet and silent, fearless, and he'll do anything necessary to help himself and the once loved around him and he'll rise above himself for the greater good when needed. 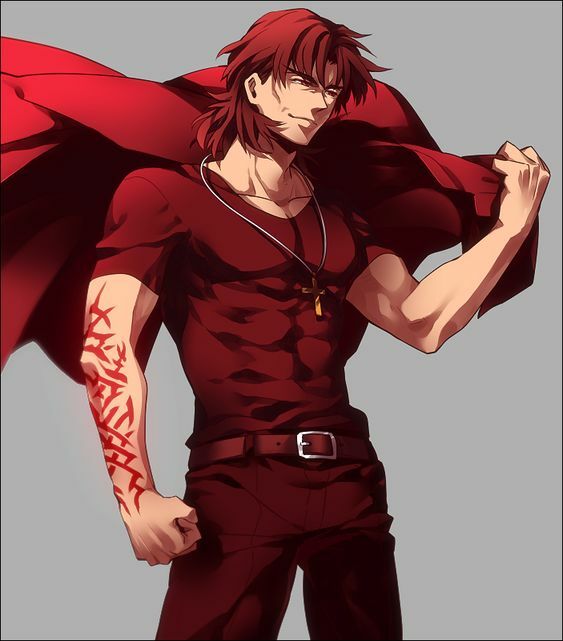 Bio: Logan was raised as a normal kid with a good childhood and loving parents, as he grew to be older a fascination with Mechs has sparked in his heart and so one day he volunteered to join the Gundam Academy and successfully graduated, through those years he has become an excellent Gundam fighter having fast reflexes matching to no other and were second to none, he has a mighty will and he will push himself to the limits if he has to, his strength is his heart. Not long, he created is own team called Iron-Blooded, he has become a strong, noble, honorable and wise leader, his team is no team but rather family for in family you gain strength, he values his teammates above all else and will fight till the death for them. Iron-Blooded will do everything in their power to become and earn the title of Champion, Team Iron-Blooded is tough and rough and they are ready. 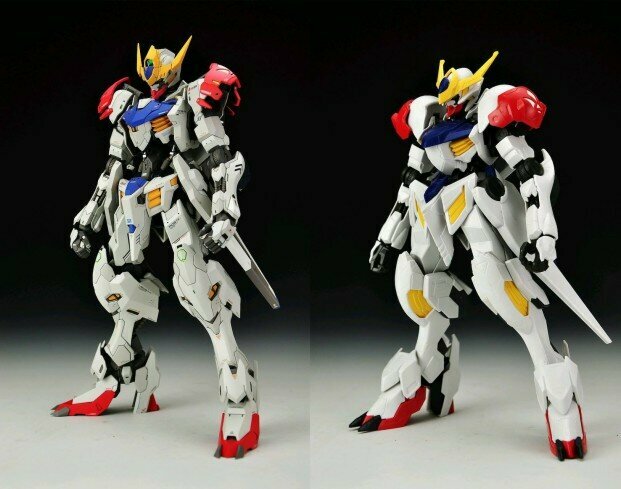 Abilities: Because this Gunpla Kit called Barbatos is really great built it has enhanced strength, agility, and speed, combined with Logan's fast human reflexes which he had from birth it makes him a formidable fighter and a fast to dodge one. He is the Leader of the Team and its main Ace for a reason. 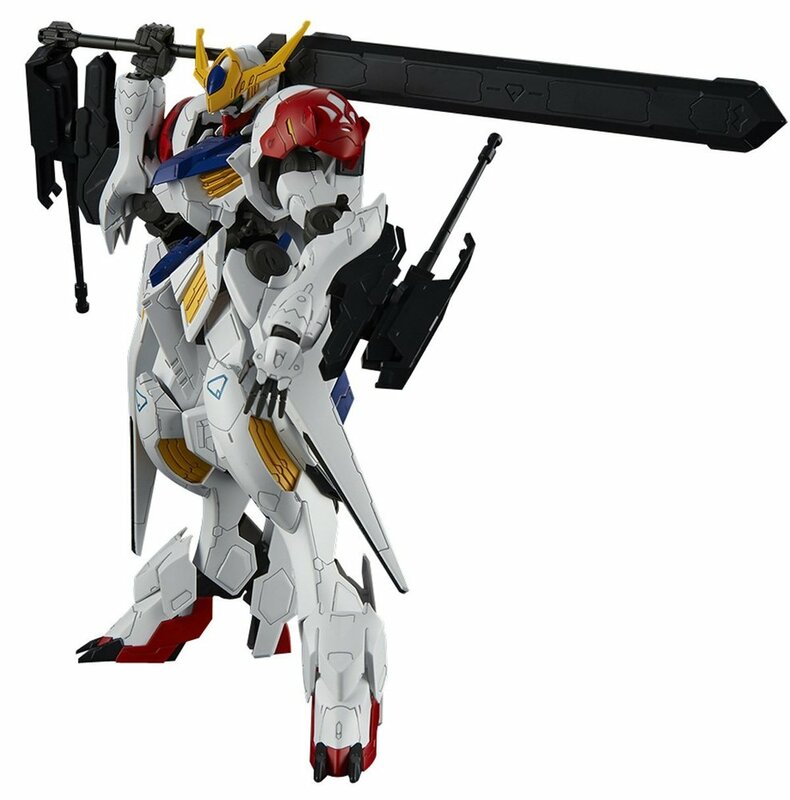 A heavy, close combat weapon developed by the Iron-Blooded technicians for Barbatos Lupus, its shape and weight is designed to avoid hampering the MS' mobility. Although shaped like a sword, it is a chopping weapon rather than a slicing one. This is how it should look in the Simulations, imagine it to be more realistic, rather than just a plastic weapon. Mounted on forearms, the gun barrel faces backward when not in use and rotates forward when in use. The recoil when fired is absorbed by the weapon's rail slide, minimizing the effect on the control of the MS.Close combat weapons can be held in the hand while the 200mm Gun is equipped. Smaller than the usual mace, the twin maces are easier to wield. 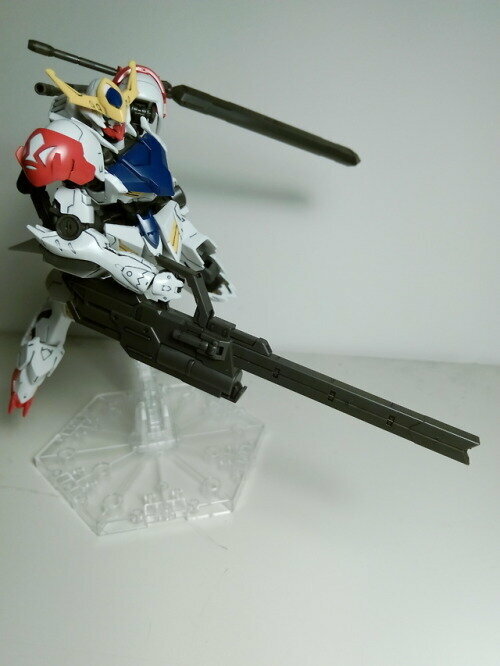 The main weapon used by Barbatos Lupus in a melee. Close to mid-range shooting weapons that fire 2.8m long rockets. Like the 200mm gun, they are mounted on the forearms via rail slides that absorb recoil. The launchers normally face backward and will rotate forward when used. If required, they can be fired while facing backward. Close combat weapon can be held in the hand while the launchers are equipped. 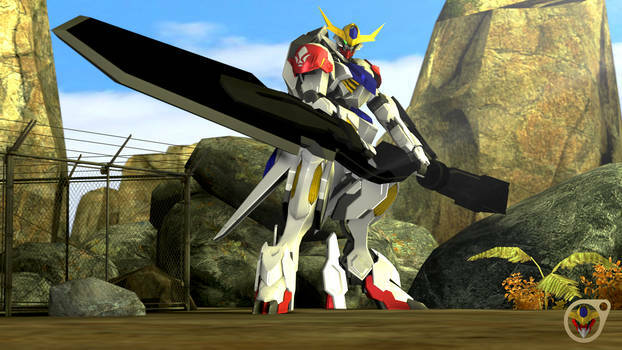 A long sword forged by the Iron-Blooded in their base facility in America for Barbatos Lupus' use. Its blade is made of the same rare alloy as that used in mobile suit's frames, and in the hands of the right pilot, it can bisect a mobile suit. It's a long katana. A large handheld electromagnetic launcher, its barrel slides forward when in use. 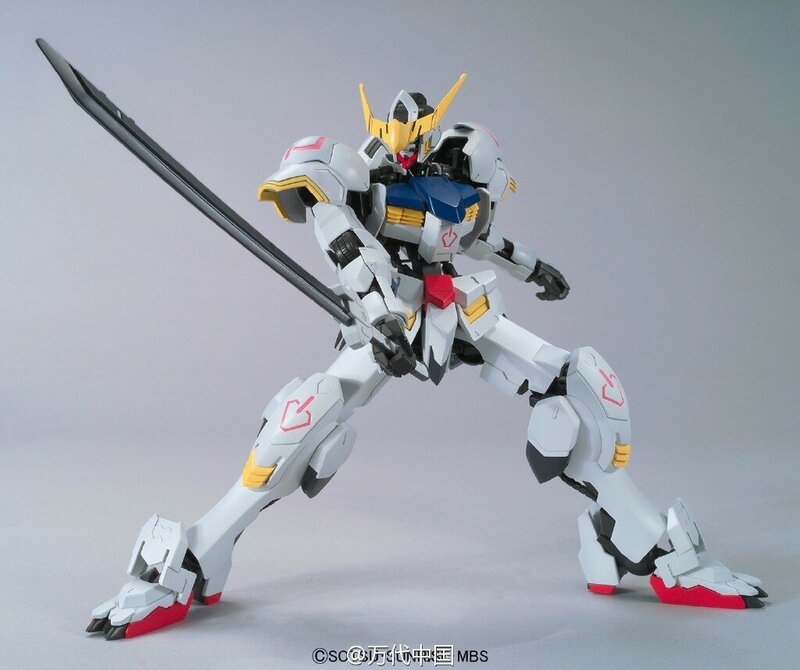 Borrowed from the V08Re-0526 Helmwige Reincar, it is a large sword that exceeds the mobile suit’s height and was designed for use against mobile armors. A mace with a spike-like claw that can flip out from the tip to catch the target upon impact. 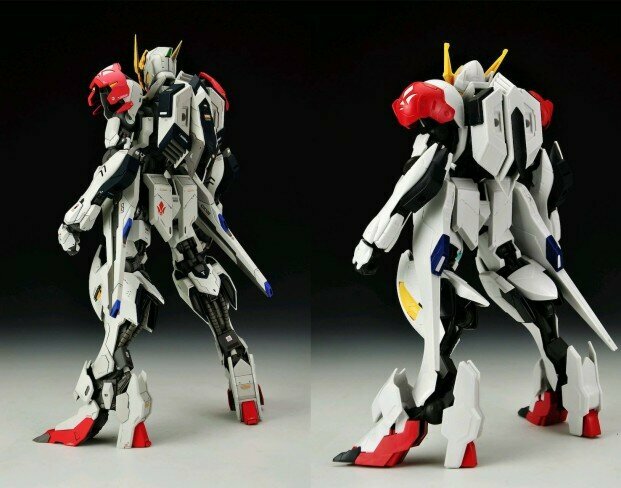 Like the original Barbatos, Barbatos Lupus has a pair of Sub Arms on its back for mounting weapons. 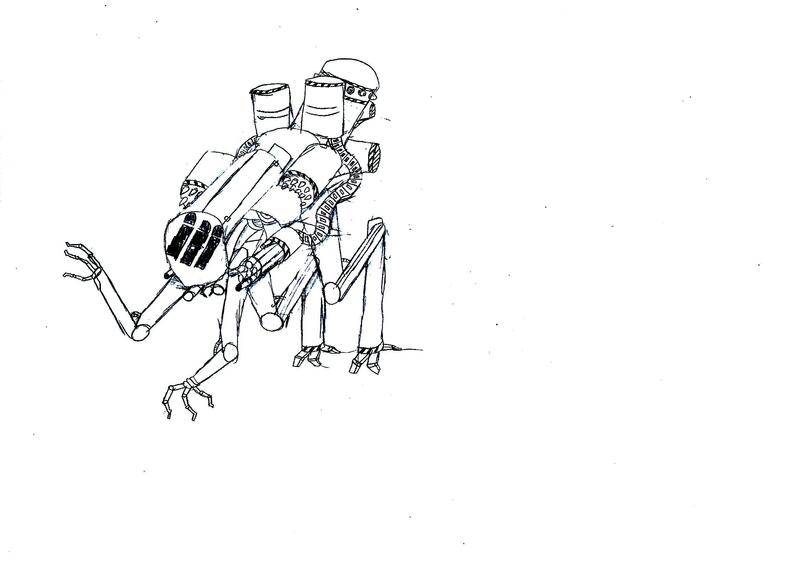 They also contain a hidden claw each that can be used for attacking enemy units at the rear. How long does it take to fire or charge? Or reload. I understand it's a bit of a big cannon, but knowing more would help. A decent number of mobile suits are space capable, so I don't think tear gas would too effective in that right, but I can't find a major issue with it. 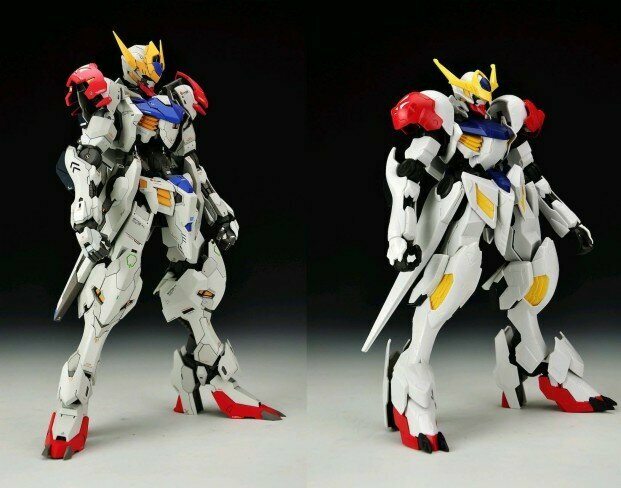 I should mention sense this is a Gunpla, the Alaya-System wouldn't need any form of the surgery and it could be replicated with the Embody System, which actually exists in the Build Fighters anime and is just a special suit they wear to help with control, reaction speed of the Gunpla. Though it does cause head aches, ranging from minor to strong. @Jcton Done, hope you like it now. Personality: Cool, calm, reliable, smart, cunning, clever, he has the brains and tactics while Logan has the strength and might. Bio: Since childhood Ryan and Logan were best friends and were always down to do something together, it didn't matter what, it didn't matter how stupid it was and how dangerous they enjoyed the thrill and their bond as friends have strengthened, they are more than friends they are brothers-in-arms. While Logan is the muscle of the group, Ryan is the brains behind everything, he usually smokes or likes to hold something in his mouth to better make him concentrate in his job, everything you might think you know better than him, there is a strong chance that he already knows what he knows. He spends hours upon hours of research in his computer and datanet, as he continuously experiments with advanced pieces of technology. Propulsion System: Thermal Phase and Transition Thrusters. Abilities: Although Vidar or now known Cavalier posses the enhanced strength, agility, and speed because of its very well built Kit. Vidar/Cavalier has incredible enhanced speed and agility, able to go to a distant place to another in just mere seconds, his speed and agility is matched to none and is second to none, he can also attack out of nowhere and deadly, his white armor might stand out however, it is quite the opposite. Ryan has tinkered a little with the armor and now, even in plain sight his armor would act sort of camouflage, making the opponent's tracking devices almost completely useless and in doing so you'll never see him coming, however, the camouflage wears off when he attacks but by the time you see him coming it's already too late, however, he is not undefeatable, you'll have to think your way instead of bashing swords. 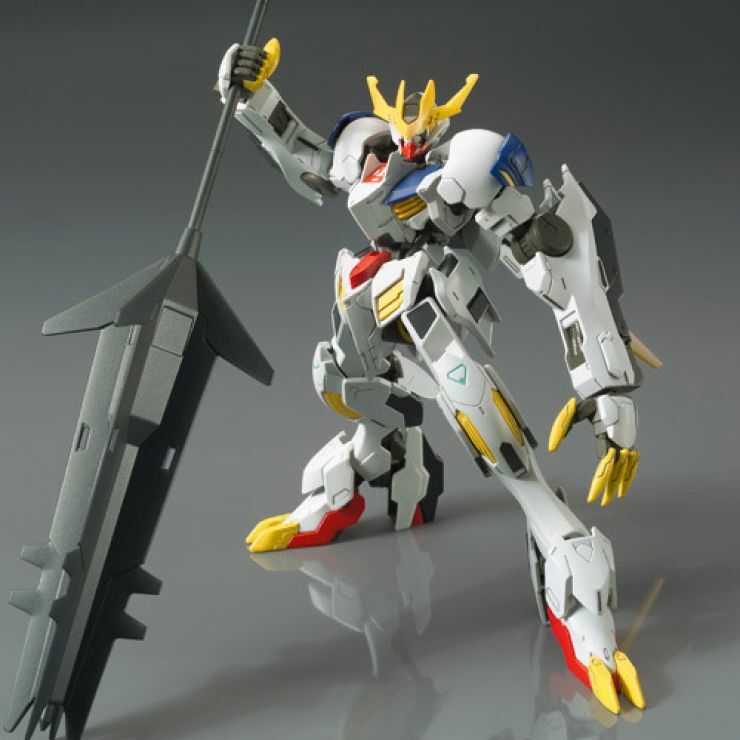 This allows for the Particles to flow through Cavalier's body and enhancing the performance significantly also Cavalie has the Assimilation Ability causing the Gunpla and the Pilot to become as one and more powerful, and also has the ability of a powerful Particle Burst attack, while in itself it is a strong Ability if it's combined with every arsenal the Gunpla has it makes of a one devastating finish move but not without its drawbacks. 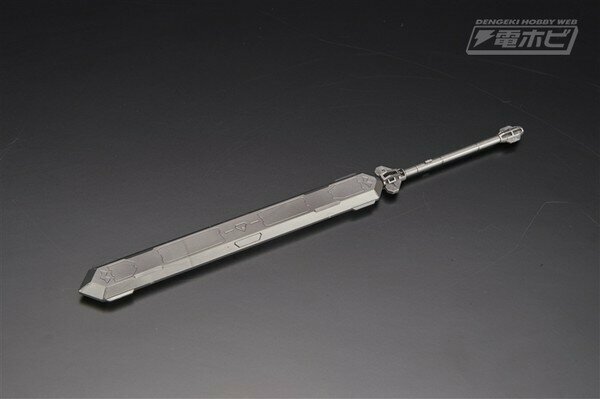 Gundam Vidar/Cavalier's main armament, this slim saber is used in combat styles like striking and thrusting. Its blade can be disconnected from the hilt to serve as a Napalm based explosive, or if it becomes entangled. Replacement blades are stored in his shield, three blades pers are stored in his shield. When attaching a new blade to the saber, the shield armor will slide back to expose the blade. The burst saber is stored in the shield when not in use. 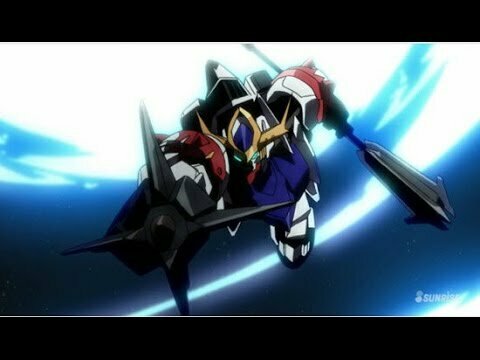 His Burst Shield is made out of the same material as the mech's armor, a rather quite powerful and strong shield, capable to tack destructive punishment for a period but not for long. It can withstand generic/normal base weapon attacks, rockets, missiles, lasers, and beam sabers. A highly versatile rifle that can be used in any range, it is stored on the side of the side armor when not in use. Manufactured by Iron-Blooded's development department, it is in test operation when adopted by Gundam Vidar/Cavalier. 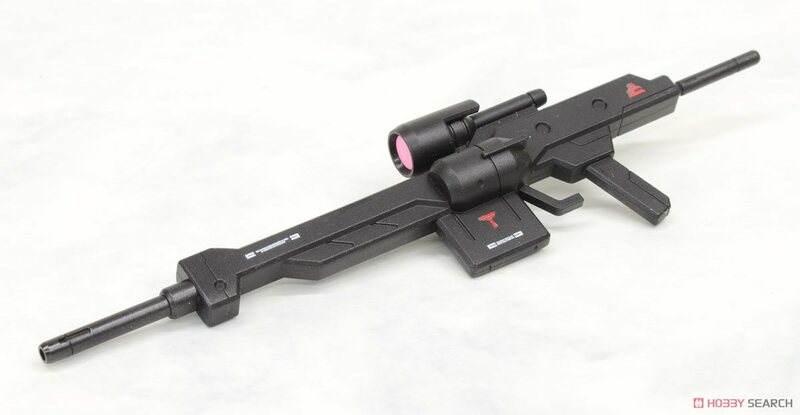 A compact, easy to use, close range shooting weapon stored on the side skirt armor. 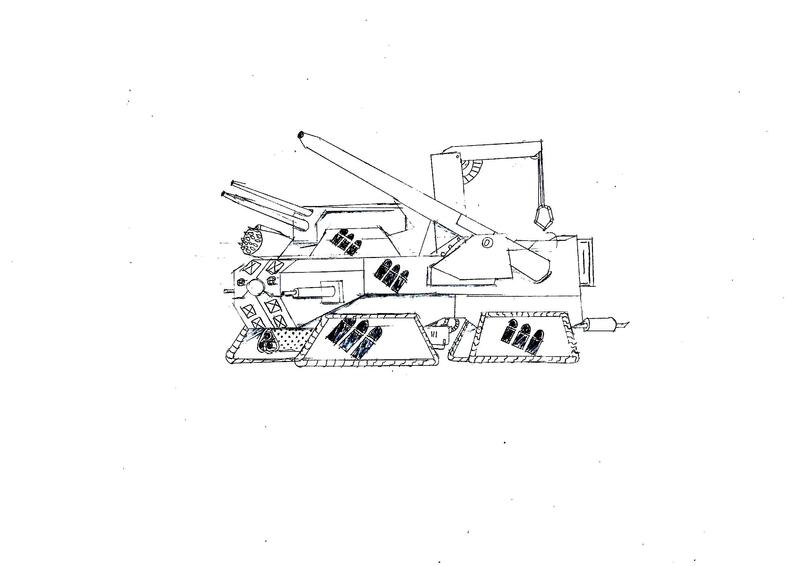 It is primarily used to contain the movements of an enemy mobile suit in close combat. Both handguns can be used simultaneously for concentrated fire. A close combat weapon consisting of two extendable blades per foot, one in the tip and another in the heel. Classified as a blunt weapon, they are incapable of slicing. They show their true value when used in combination with leg-based attacks such as kicking and stomping, turning the entire leg into a weapon. Lastly but not least, he has two swords he stores on his back. They are also made in the same material as his armor, they are quite durable and can cut through hard metal. They also possess a heating ability (look at the red bits of the sword that it is) when heated to the max it can cut through almost anything, but that is not always guaranteed. 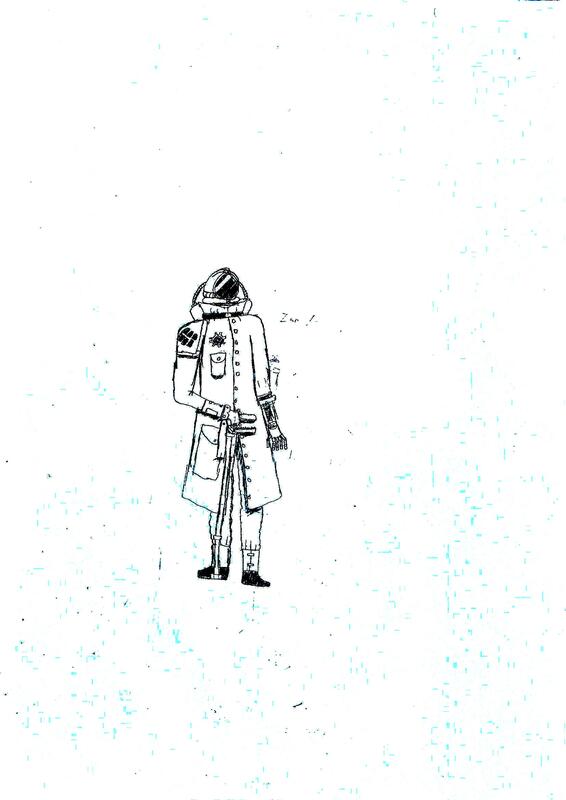 Here you can see his swords are stored behind his back. You do know that Thermal Phase Transition Thrusters are one thing? Is he accepted? You like it?